Hello my lovelies! I won't pretend that I don't feel tired and stressed out after this Monday. But at least I got everything done and can now relax and write this post for you. Another great thing is that looking at my nails makes me happy, because I have a lovely manicure on them. The colors and pattern are rather spring appropriate, so I will apologize for being a little early with that. But aren't they lovely? 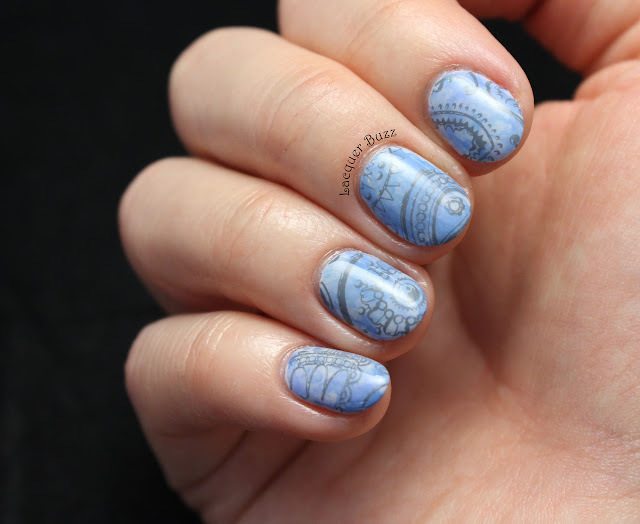 For this manicure, I got to play with a few new toys from the Born Pretty Store that helped me a lot. 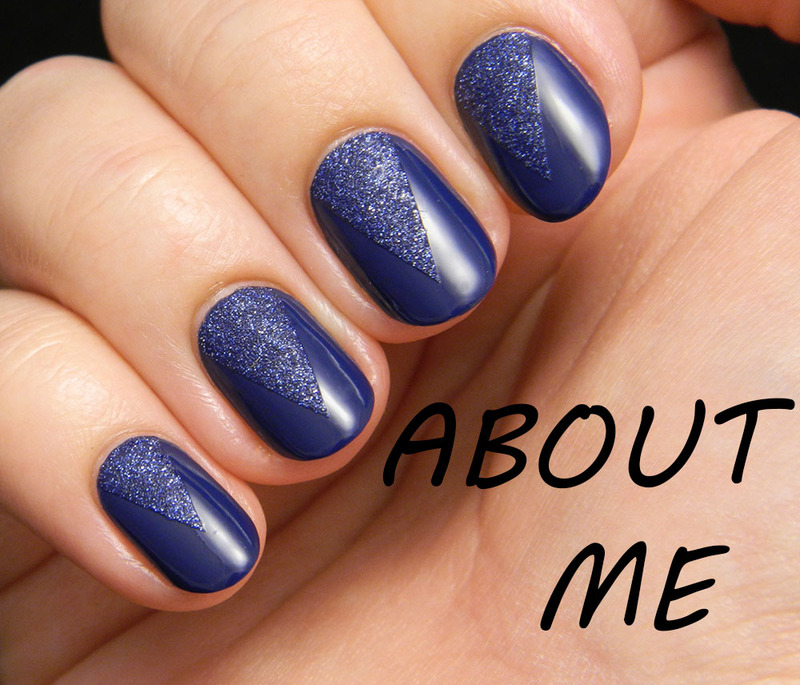 I was able to considerably shorten the time I took to create this manicure. It would have taken even less time if it didn't take about 10-15 minutes for the different layers to dry. 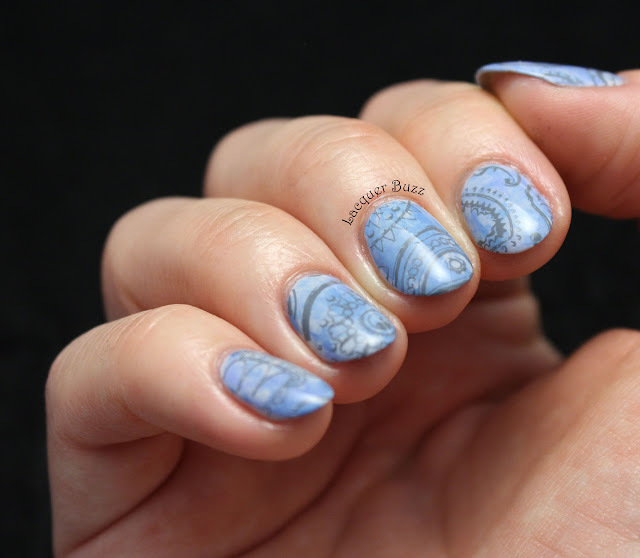 I started with a coat of p2 620 Stone Picker from the Volume Gloss collection, a light grey creme that is a great base for nail art. 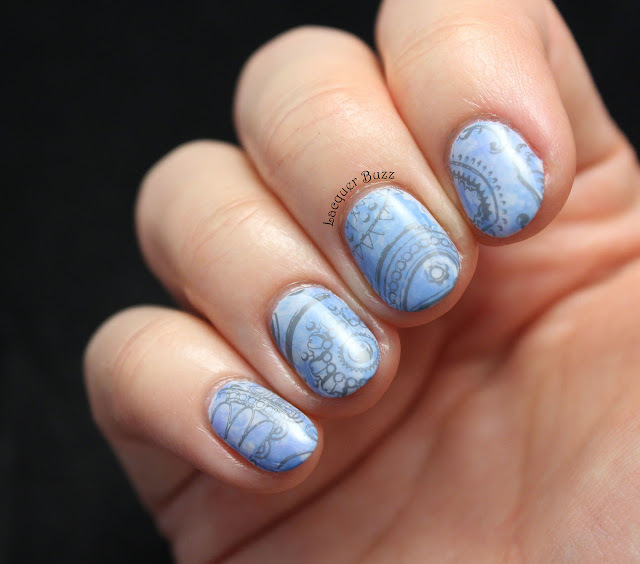 I then used Stone Picker, Orly Snowcone and China Glaze Boho Blues to create a stamping marble. 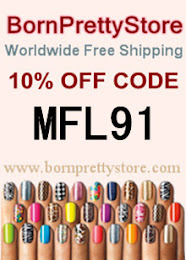 To protect my cuticles I used the Born Pretty Store liquid latex that worked great and saved me a lot of cleanup. Then I stamped using a grey stamping polish and the gigantic clear jelly stamper, both from the Born Pretty Store. I'm going to review this stamper in a future post but for now I can tell you that I'm very happy with how it works and the time it saves. 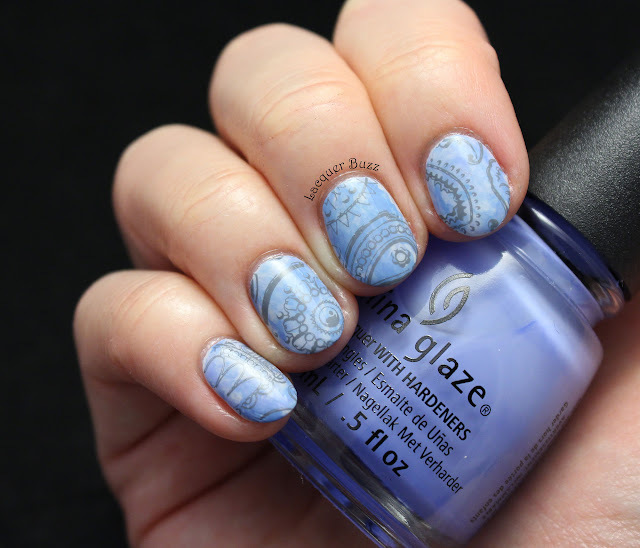 I used a stamping plate with paisley designs I got from ebay called Flowers-14. I just used different portions from the plate on each nail. I'm a big fan of the paisley pattern and these colors look lovely together. 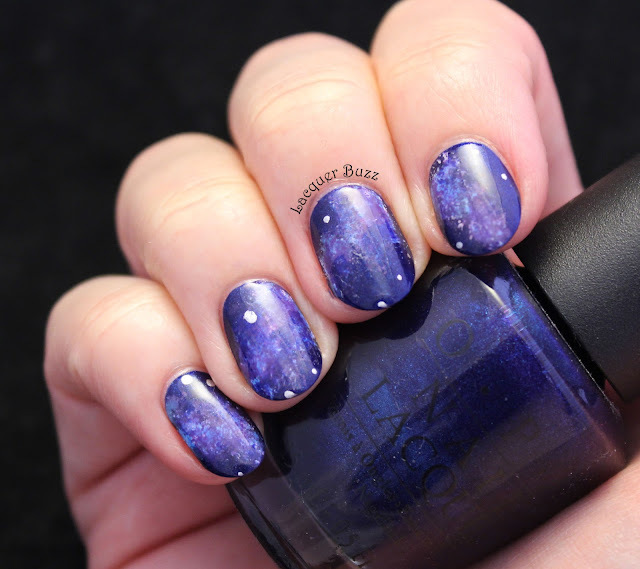 I am absolutely in love with these nails! I really hope you enjoyed them too. 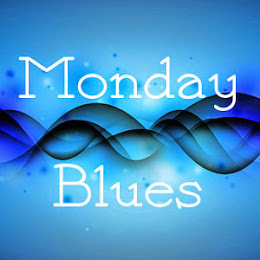 Make sure you check out the rest of this month's Monday Blues in the links below!